The grounds of Arlington National Cemetery honor those who have served our nation by providing a sense of beauty and peace for guests. Rolling green hills are dotted with trees that are hundreds of years in age and complement the gardens found throughout the 624 acres of the cemetery. This impressive landscape serves as a tribute to the service and sacrifice of every individual laid to rest within the hallowed grounds of Arlington National Cemetery. And it needs help to keep it looking its best. On July 28, 2014 PLANET is proud to honor America's veterans and leaders during a day of service, and welcomes volunteers to participate this nationally recognized event, Renewal and Remembrance. Each year, this event draws hundreds of landscape and lawn care professionals from across the country to Arlington National Cemetery to spend the day mulching, cabling and installing lightening protection for trees, pruning, planting, and liming and aerating more than 200 acres. Renewal & Remembrance – Learn about the nation’s largest lawn care and landscape industry service event, taking place July 28th at Arlington National Cemetery. Volunteers lime, care for historic trees, and do landscape projects to beautify this national landmark. 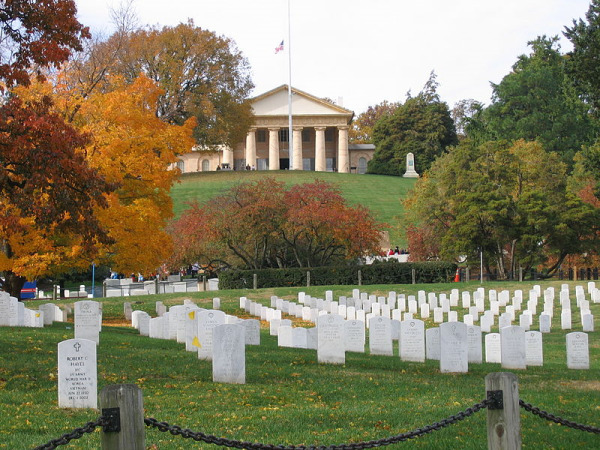 Arlington National Cemetery - Discover this amazing public green space and learn how PLANET members work with the horticulturists at ANC to create and design the projects that we work on each year. Children's Planting Project - Discuss the children's planting project that is a part of Renewal & Remembrance, emphasizing the importance of teaching the next generation about caring for our green spaces and about volunteering. Lobbying - Hear about lobbying plans on Capitol Hill in Washington, D.C. regarding landscape and lawn care industry issues. Hundreds of professionals meet with their legislators to talk about important issues. Virtual Day on the Hill - Explore the use of social media to raise the visibility of industry issues with legislators. Join us for Virtual Day on the Hill on July 29th. Visit the #landscapeadvocacy webpage for more information about lending your voice to the cause. Chat on Wednesday, July 16 on this week's #landscapechat with industry leaders. PLANET Director of Public Relations Lisa Schaumann and Promotional Communications Manager at STIHL Roger Phelps will co-host with Chris Sabbarese of Corona Tools, along with Landscape Management Magazine and other industry organizations. Don’t miss out on this exciting topic and join the conversation via Twitter. Just sign into #landscapechat with your Twitter ID and you can follow the conversation and share with the community. Be sure to add the hashtag to all your tweets or join us in thelandscapechat room on Tweetchat. They will automatically add it for you and it's easy to watch the conversation as it happens!